Gainesville is a quaint college town, home to the University of Florida. At first glance, Gainesville may seem like it’s all Gators t-shirts and beer pong, but the city is actually full of culture and history. UF’s campus and the surrounding areas are predominantly made up of college students. Beyond campus is a diverse and thriving demographic. Gainesville is split up into a handful of sectors, each offering their own variety of shops, restaurants, bars, and clubs. If you’re new to Gainesville, you may need a bit of guidance before you truly capture the essence of this city and all it has to offer. Midtown is the vibrant and busy neighborhood located right across from the UF campus. It’s always packed with students traveling between classes during the day or grabbing a few drinks at night. Midtown is the perfect spot for students who are looking for that true college experience. The lifestyle in Midtown is very university-oriented, and you can definitely expect to see rowdy fans strutting the streets after a Gators victory. If you’re okay with the hustle and bustle of the university lifestyle, then Midtown is the perfect place to be. It’s the hub for popular nightlife, great food, and lots of traffic. The place is always packed so it’s hard to find parking, but driving isn’t really necessary when you’re so close to all of the best hotspots. There are a lot of rental opportunities in Midtown, but keep in mind that such a great location comes at a price. Downtown is just a few blocks east of Midtown and is just as lively. However, Downtown Gainesville gives off a much more urban, hipster vibe with its eclectic boutiques, vegan restaurants, arts festivals, live performances, and cool clubs. Downtown is also known for its nightlife options. While Midtown offers more of the college sports bar scene, Downtown offers more elegant bar options and nightclubs with weekly events. There are always live performances and unique events going down -- all you need to do is look at any of the posters plastered on Downtown’s street lamps. Downtown also isn’t entirely overrun by UF students. Locals of all ages can be seen roaming around Downtown, frequenting the cute cafés and snazzy indie concerts. The housing options in Downtown range from modern condos and apartments to old, historic houses. Even though there are a lot of free parking options here and the area isn’t particularly crowded, you can still expect to have a hard time finding a free space. There are lots of innovational businesses thriving in this area and many young people unwinding at a trendy hangout. That being said, it’s an active area with lots of diversity and there is quite a bit going on at all hours of the day. However, the vibe is much more relaxed than Midtown. South Gainesville offers a close proximity to UF campus and a more laid-back lifestyle. With such a prime location, you would think South Gainesville would be packed, but, surprisingly, the area provides quiet, remote living. South Gainesville is characterized by Sorority Row, near SW 13th St, Shands Hospital, and the serenity of Paynes Prairie. There isn’t too much commercialization going on in the area right now, making living in South Gainesville much more toned down. However, there has been some buzz surrounding the idea of redevelopment, meaning you can definitely expect for some new business to sprout up in the area over the next few years. Sorority Row offers a lot of apartments, houses, and condos -- all located within a fair distance of campus, Midtown, Downtown, and Archer Road. To add to the easygoing lifestyle, South Gainesville also offers lots of beautiful nature destinations for days of hiking and exploration. The area by Archer Road is jam-packed with student living options -- mostly big apartment complexes -- and is located by the infamous Butler Plaza, the largest retail center in North Central Florida. Butler Plaza is the place for all of your shopping needs; most Gainesville residents spend a lot of their time here and many students enjoy the comfort of the residential area. The place is also growing, so if over 100 businesses don’t give you enough variety, there are more coming your way. All of the main chain restaurants and fast-food places can be found along Archer Road, along with grocery stores and clothing shops. People from every part of Gainesville can be found here, but the apartment complexes mostly consist of college kids. This place isn’t culturally rich or artsy, but it has everything you need just a few minutes away. Keep in mind that with this area being such a popular place for shopping, there is lots of traffic at all times. Driving is probably the best option when getting around here, but there are a few bus routes that go into campus. West Gainesville is a little further away from campus, but still accessible by bus and car. The main attraction here is The Oaks Mall, Gainesville’s treasured shopping center. There are lots of big apartment complexes in this area, most of which are always throwing events on the weekends like pool parties and Game Day barbecues. Butler Plaza is pretty close too, meaning all the major shopping destinations are right around the corner. Plaza Royale, which is also nearby, even has a large movie theater to catch a late-night flick after long hours of studying. West Gainesville still covers some ground on the UF campus, being home to the UF Cultural Plaza, which comprises of colorful and diverse points of interest, from the Phillips Center for the Performing Arts, the Harn Museum of Art, the Florida Museum of Natural History and the Butterfly Rainforest. There’s also a handful of nature parks and walking trails, giving residents a variety of activities to engage in on any day of the week. West Gainesville is pretty “homey,” with a neighborhood feel in lots of places and a growing sense of community. It’s far enough from campus so that you don’t feel overwhelmed, but close enough so that you don’t feel isolated. Northwest Gainesville is a quaint and suburban paradise, positioned right by Sante Fe College. There definitely isn’t as big of a Gator students presence in this area, and the place is pretty quiet and slow. Most of the residents are older adults, families, and Santa Fe College students going to class and work. There aren’t that many shopping or dining options around here, so it’s probably helpful to have a car to venture out into the more “happening” spots of Gainesville. Thankfully, there isn’t too much traffic, but if you’re looking to ride the bus, there aren’t many routes available. There are a couple that could be useful, but only if you live in the right location. Santa Fe students really only have one main residential option when it comes close to campus. That is The Crossing at Santa Fe. The neighborhood of Thornebrook Village is also quite centrally located, with the major attractions of the northwest side in the relative vicinity. UF students typically choose this area for the slower, quieter lifestyle. If you’re looking to get away from the lively and busy UF campus, Northwest Gainesville may be the place for you. Just keep transportation in mind. Located on the Northeast side of Gainesville are Haile Plantation and the Town of Tioga. This sector of the city is the most family-oriented and perhaps the most peaceful as well. Beautiful townhouses, condos, apartments, and homes are for sale across the entirety of the area. The vibe here is very quaint and cozy; clapboard houses with wide porches and big windows and oak trees that line the driveway give Haile Plantation and Tioga a warm and tranquil ambiance. Tioga Town Center offers an urban, upscale impression and offers high-end dining and shopping options. Even though the area may feel almost far from the center of Gainesville and the heart of UF campus, Haile Plantation and Tioga are only a 10-minute drive away. The area isn’t very accessible by the RTS bus system (you may have to take two or three buses to get where you want to go), so transportation may be an issue if you don’t have a car. Rentals here are also a bit pricey, and the area is definitely posher than others in the city. Gainesville has a very diverse selection of neighborhoods and rental units. It’s important to consider the what sort of environment would be best for you and make a decision based on essential factors. Keep in mind that Gainesville offers lots of different vibes and dynamics, so choosing a place that is comfortable and alluring is definitely key. 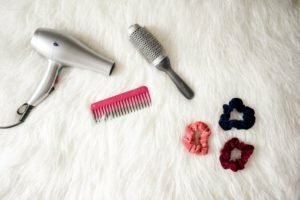 When you want to switch up your look and feel confident, finding the right hair salon is a must. Here are the best salons in Gainesville. 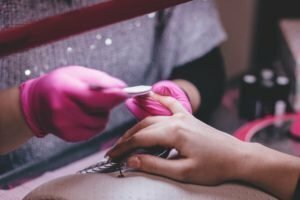 Everyone knows how difficult it can be to find a nail salon that does your nails the way you like. Skip the hard part at these salons.